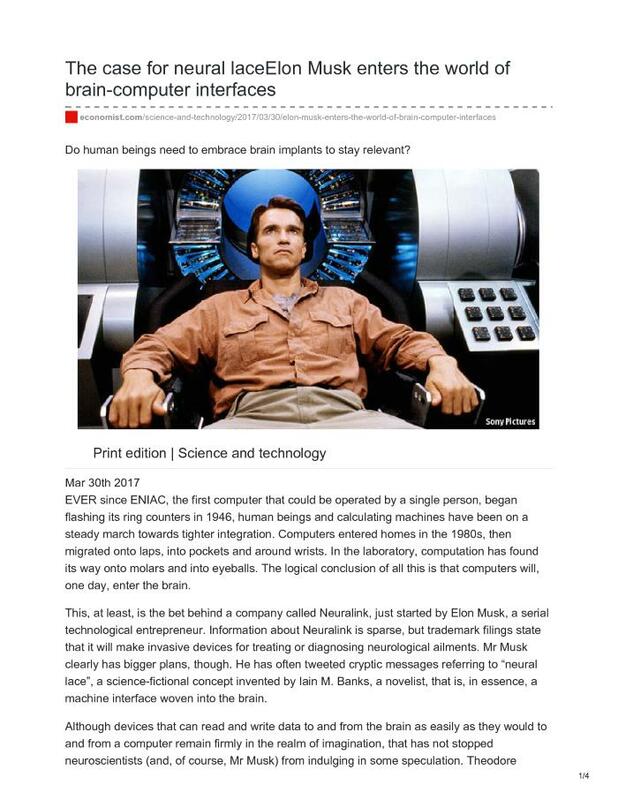 "Behind this suggestion lies Mr Musk's argument, made repeatedly, that human beings need to embrace brain implants to stay relevant in a world which, he believes, will soon be dominated by artificial intelligence. Proposing the artificial augmentation of human intelligence as a response to a boom in artificial intelligence may seem a bit much. But Mr Musk's new company is not alone. A firm called Kernel is following a similar path."